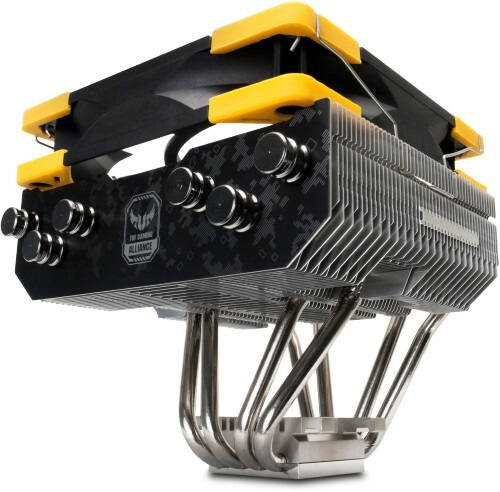 If you are looking for a top down CPU cooler that is virtually silent and offers great performance you would be hard-pressed to find anything better than Scythe's Choten TUF. 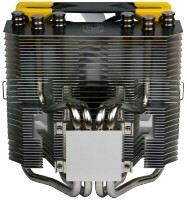 In cooperation with Asus, Scythe presents the TUF Gaming Alliance version of the Choten CPU cooler. 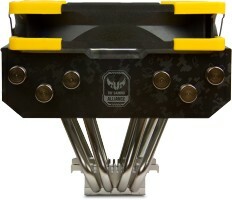 Design elements such as a side plate decorated with the TUF logo as well as a 120mm RGB LED Kaze Flex fan with matching yellow rubber decouplers connect the cooler with the remaining TUF Gaming Alliance components. During the development of the Choten, Scythe's focus was not only on excellent performance, but also on unrestricted compatibility with RAM. The asymmetric design coupled with a large gap between the motherboard and heatsink ensures excellent compatibility with large memory modules. The cooler features a preinstalled Kaze Flex RGB 120 PWM fan, giving the Choten CPU cooler a total height of only 122 mm, allowing it to easily fit into the majority of PC cases. 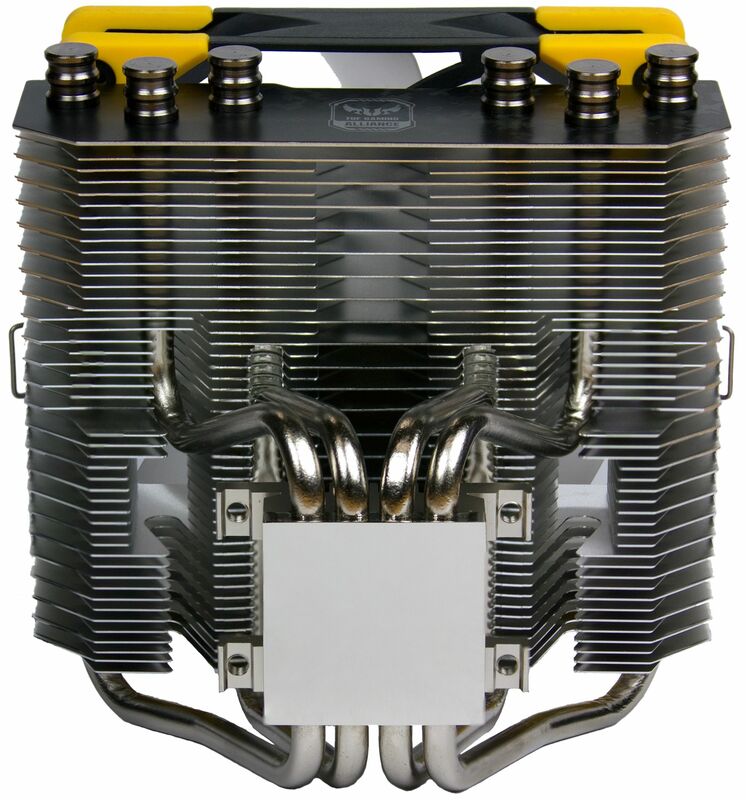 This mix of good performance, high compatibility and high-quality axial fan makes the Choten an attractive CPU cooler for compact but demanding systems. The secure and user-friendly Hyper Precision Mounting system centers around a preassembled mounting bar, which features spring-loaded screws to guarantee a perfect contact pressure. 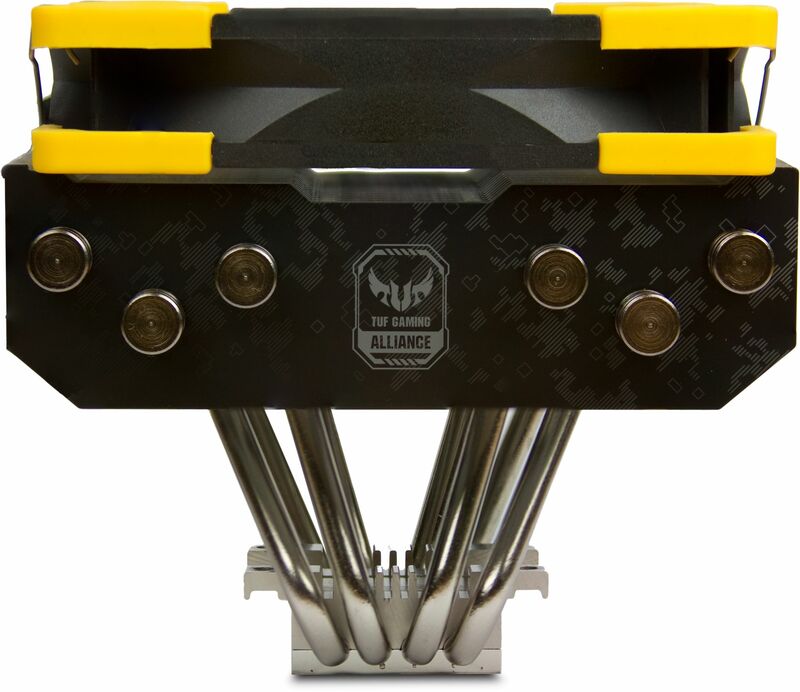 In combination with an updated backplate and rubber / plastic spacers the system offers a convenient installation process and compatibility to all current platforms. The Choten is equipped with a PWM fan from the award-wining Kaze Flex series, operating in a range from 300 to 1200 RPM. The self-contained liquid bearing (Sealed Precision FDB) reduces friction and wear to a minimum, resulting in an average lifespan of 120,000 hours. Rubber pads mounted in the fan frame have a decoupling effect that dampen the transfer of vibrations. Aiming for maximum compatibility the heatsink is not centered above the baseplate, but slightly offset to the side and back. This asymmetrical design allows for unrestricted use of all memory slots. It also points the heatsink away from the graphics card, leaving enough space for even the bulkiest GPU coolers. With a compact height of only 154 mm the Choten easily fits all standard PC Cases.